TREBEL is the only licensed free music app that lets you download songs and albums, and play them offline, for free. Now you can listen to music you download anywhere with no WiFi. TREBEL is engineered for unlimited music downloads and uses less phone battery then music video sites and works with no cellular data plan. iOS 10.2 or GREATER REQUIRED. 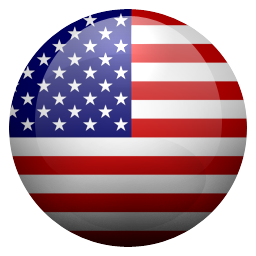 Please send questions to: hello@trebelmusic.com Like the app? Rate us 5 stars and hit us up on Instagram @trebelmusic! --- Downloading free music on TREBEL is as easy as tapping a button. No more wasting time on torrent sites or stream ripping YouTube videos to MP3 in order to get the music you love. On TREBEL you can download the hottest new albums from your favorite artists for free, such as: Kodak Black - ZEZE Ariana Grande - thank u, next Lil Baby - Street Gossip Sheck Wes - Mo Bamba Offset - Father of 4 Nicki Minaj - Good Form Billie Eilish - come out and play Halsey - Without Me Xxxtentacion - ? Lil Wayne - Tha Carter V Trippie Redd - Topanga Kevin Gates - Luca Brasi 3 Post Malone & Swae Lee - Sunflower If you have a large iTunes collection already, TREBEL automatically syncs your existing library so you can combine your own music with songs downloaded for free on the app. Product Features: No Wi-Fi connection needed to listen to most downloaded songs Play offline on mobile Unlimited music downloads enabled by caching technology Use no cell data when playing music offline Use less battery when playing music offline Download complete albums at a time No need to use an MP3 converter or torrent site. No need for stream ripping Syncs with your existing iTunes MP3 collection Music: Top 40, Hip-Hop, Rap, Electronica, Punk, Classic Rock, Metal, R&B, Gospel, Christian, Holidays, Folk, Country, Bluegrass, Indie, and more! High-quality audio Album cover art and information Customizable playlists Search by artist, album, or song Sort by artist, album, genre, song, or playlist Social: Campus function allows you to discover music from students at your college or university Interact with campus influencers for new music recommendations See what your friends and followers are downloading and listening to Download the same music as your friends What's New in This Version: We’re constantly updating and improving the TREBEL experience. Keep your Updates enabled to make sure you always have the current version. We’re working hard to get more free music content for offline playback. If you see a song or album that we don’t offer, tap on “Coming Soon” and we will let you know when it’s live on the app. TREBEL is a licensed service with the best music in the world from Universal Music Group, Warner Music Group, Sony Music, and The Orchard. HIT US UP BELOW! Instagram: @trebelmusic Twitter: @trebelapp Facebook: @trebelapp trebelmusic.com If you love the app, please rate and review it with 5 stars! Ok I love this app sooo much! I was looking for a good music app for a while now but I couldn’t find one. I actually saw this because of Wattpad. It was a ad. I clicked it and downloaded it so fast. It works perfectly. Just some songs aren’t there yet but its totally fine. I know their still adding to the app. But in all Honesty I LOVE IT SO MUCH!!!! I wanted to listen to some Billie Eilish on my flight so I downloaded her album and it works! It’s free unlike Spotify premium! I recommend a lot!! HOW DO YOU LOG OUT ? nice app good music but how do you log out why is there not a dedicated button or option in the app . Why isn’t Siri integrated in this app? I can’t download any songs I want and it says “please wait... “ and I waited a hour and still was not able to get the song... please fix and let me know when, please and thank u. When I downloaded this I was half expecting a scam or something you have to pay for. When I opened it, however, I was surprised. It’s completely free, except for the coin part, but coins are easy to earn free. I would recommend this if you take long commutes or trips, or if you just like free music! 10/10 app, would recommend!! Would Recommend, but some lows. This app is great, and I can find all my songs that I want to listen to easily. The only criticism I have, though, is it downloads too long. We can’t even get out of the page we’re downloading the music on, but other than that, it’s a great app. When I travel, and my sister has her iPad, (she doesn’t have data, like phones,) she loves this app! It doesn’t need WiFi at all! Overall, you should definitely get this. There is not enough songs available for offline download and it’s stunting this apps potential, considering that’s the reason everybody gets this app. I noticed you have mostly mainstream music available for offline download, not many underdogs in the charts that’s not good for reaching broad audiences. I have deleted this app 5 minutes after getting it because it’s missing my main need sorry guys hope you evolve this app soon I’ll be back to see maybe I’ll get it and rate it 5 stars next time but let’s improve guys you can do better then this. I’ve been having problems with my coins disappearing without me using the app the last time I used it I had around 7000 coins but when I opened it today i was at 1000 and that’s a problem because the entire app is based off your listening coins. This is one of the best apps that I have on my phone. It’s ability beats that of all the other music apps. My only thing is that Wish I had found it earlier. This is my favorite app! But..
My app keeps crashing every time I try to listen to it offline and then go back into the app to change the song. Other than that I absolutely love it! By the way it just started doing this a couple weeks ago! I love how you say NO WIFI and you give us free coin too spend, please do not change a thing you are doing a amazing job keep it up. This app is great the only flaw is that you do not have Sminos new album Noir,if you added it I would give it a 5 star review.Please add it. The music selection is great but, the use of coins to listen to music is the single most stupid thing on a music app I have ever seen or heard of. So honestly this app is amazing it works perfectly and there’s nothing wrong with it. I love y’all for letting us download and listen to music without paying a subscription, site there are ads but that’s a compromise I’m willing to make in order to listen to music. The only thing that’s bad about this app is that it doesn’t have a shuffle play option, if developers are reading this can y’all please add a shuffle play option. 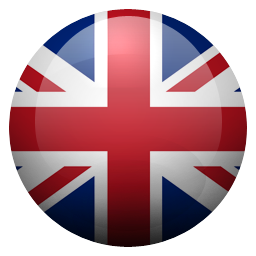 Very good app overall! Love listening to my music without WiFi and on Airplane mode especially! However, I have many songs and want to listen to them all, but there are many at the bottom on my playlist. It would be better if there was a shuffle button so I can listen to all of my favorite songs on your app. Thank you for your consideration! This app is.... INCREDIBLE!!! Oh my god! It’s so easy to get coins! Such a great idea! I love being able to listen to my favorite songs offline for free! You know what, this app deserves more than 5 stars, here is how many it deserves: ⭐️⭐️⭐️⭐️⭐️⭐️⭐️⭐️⭐️⭐️⭐️⭐️⭐️⭐️⭐️⭐️⭐️⭐️⭐️⭐️⭐️⭐️⭐️⭐️⭐️⭐️⭐️⭐️⭐️⭐️⭐️⭐️⭐️⭐️⭐️⭐️⭐️⭐️⭐️⭐️⭐️⭐️⭐️⭐️⭐️⭐️⭐️⭐️⭐️⭐️⭐️⭐️⭐️⭐️⭐️⭐️⭐️⭐️⭐️⭐️⭐️⭐️⭐️⭐️⭐️ It deserves this many stars, if not more. Love this app!!! Amazing app. Easy to get coins which is very helpful. Not a lot of complaints with this app! I do look forward to hearing nfs new album so hopefully you guys will add that when it releases! 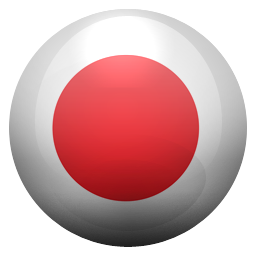 All audio video songs in one apps. Love it. Imma go ahead and give this a four because of two things. 1. Some songs I like to listen to like JJD-Adventure and All the Way Jacksepticeye songify aren’t out yet and that bugs me because my Spotify isn’t working and I can’t listen to them on this. 2. Sometimes I’m in the mood for one song and when I go to do something else on my phone, the song stops playing. If these issues could be fixed and atleast those two songs are added, this 4-star review might turn to a 5-star review. I just got the app right now and it’s great. I had all the artists I’m looking for, the songs and it PLAYS OFFLINE!! I’m telling you this app is LEGIT. 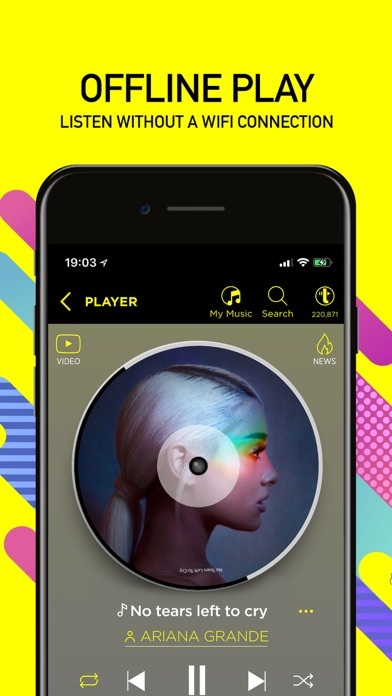 I’ve been looking for an app that allows you to play music offline and has the songs I’m looking for and allows you to download a lot of songs and doesn't pause while visiting another app, and this app is all that I’m looking for. It is better than Spotify in my opinion because you don’t have to pay to listen offline but except SIGN UP FOR FREE!!!!! The songs are great quality and exactly like the ones on YouTube. Download this app it’s really great!!! I don’t like how some of the songs you have to have WiFi. Also, I don’t like that it doesn’t have some songs I like. But it’s a great app! I hope you’d answer, but once this app probably blows up do we have to start paying for it? Amazing! I love everything about this app! I love the app but there is a glitch where I can no longer change the music with my device locked. It no longer shows up on my lock screen. Please fix this. This app is the best, I’m thankful that you guys made this music app to where you can play music without WI-FI. Have a nice day. Soo I’ve had this app for like 2 weeks and I am really enjoying it. I shared to like everyone in my contacts not only for coins but I thought it was just great. This brings up my first problem. For coins, you can disable limit ad tracking. But when I go to do that, ITS NOT EVEN AN OPTION IN SETTINGS. It’s really frustrating because I have all privileges allowed for this app. Also this is not a big deal but you can’t comment in capital letters which is a little annoying in my opinion. Last complaint is, I wish you would show the amount of coins each song costs. It’s always a guessing game. Not hating on you guys, I love this app. The only way to improve is by pointing out what is wrong. I was going to complain about not having the newest songs but I get that it takes time for signatures. Love this app please keep it up 🔥🔥💗 UPDATE This app is going downhill, I had 1200 coins and every time I open the app the amount gets smaller and smaller. It’s so annoying and I am not buying songs. Now I only have 426 and I have no clue what is happening, I want my coins back 😭😭😭. if you don't have it your missing out and most likely wasting money elsewhere! This app is legit. It does what it says it will and it is the most amazing app, hands down, that I have ever used. It allows you to download music for FREE and listen to it OFFLINE whenever you want. Not only this, but it doesn’t make you listen to adds while your music is playing. If you are someone who travels a lot, doesn’t like to be interrupted by adds during a banging workout, or simply want music without the disruption of adds, this app is perfect for you. I noticed you don't have all my favorites, and that's fine. My problem is when I'm trying to play music without focusing on the app, and one of the songs from youtube comes on and refuses to play! I don't wanna pay for youtube Premiuim, so please consider getting the music sooner instead of using youtube... It ruins things for me! Hey I use to use this app quite a while Back and I really dislike that you guys removed how we used to be able to listen to music while downloading more songs and it really bugs me I hope you guys bring back that feature soon till then I’ll not be pleased with this app. I could not find any songs that I liked for example bad by Michael Jackson or build our machine or get out by DAgames or lightning and thunder by imagine dragons all in all I hate this app and will never use again. I have had this app for a few months now, and I had a lot of coins from downloading.Sometimes I’ll just sit and listen to music for hours, and obviously your coins will be used.When I download more, I don’t earn as many coins as it says.Earlier, I was downloading with 900 coins, and it will say I have earned 500 more, but only go to 1000.This is a problem for me because I’m always downloading music.I hope someone reads this and fixes the bug. I LOVE this app don’t get me wrong but every time I have Trebel open or with music on my battery life on my phone decreases way faster than it normally would and I don’t know why the app makes that happen. Also I’m not sure if it’s because of Trebel but whenever I’m in the app my phone will power off randomly and take 1 minute to turn back on and it gets aggravating when I’m trying to change my song. If there’s anything you can do to fix that I would greatly appreciate it! Don’t know If it’s just me but when ever I’m playing a song and I turn my phone screen off the app doesn’t show up on the lock screen, so I’m unable to change songs or anything. And it also won’t show up when I pull up the little menu where I would normally change songs when using other apps. Chance the rapper gives his music away for free & you don’t have any of his songs. You only put the new garbage music on your app. I like downloading songs here, and it’s great to listen too offline. I use this everyday on my way to school but here’s two issues I hope gets fixed. I really wish they had a select button where you could select the songs to add it to a playlist but instead I have to go one by one song and it’s frustrating. For example:I’d click on the three dots to add the song to the playlist and it starts playing the song instead🙄So please make it to where you can select multiple songs at a time. next there’s the coins, once the coins run out I can’t listen to the songs. I LOVE this app you can listen to all your favorite music with out any WiFi!! I like how it’s easy and quick to download songs and most you can play with out WiFi at any time. There are constantly pop up ads which I don’t mind because I’m doing it all for free, gotta make the money somehow, they can be hard to get out of sometimes though. I’m constantly earning coins for downloading but I’m not quite sure how to use them? You can purchase coins for real money and they advertise that you can listen to ad free music but I don’t see any option to do that. I’d also like to see more pop artists and songs on the main page to down load. It’s more hip hop and music I don’t really listen to which is okay. It would be nice to have more generals of music to search instead of searching every song title that I want and then not being able to find it. It sounds like a lot of negative comments but I really do like this app. I just recognize it is still developing. I tried using this app with WiFi then with out. Not good you have to download and if you have no WiFi then I sorry for you because this isn’t for you. It’s a great app for music but you have to create a playlist instead of downloading music to your phone. This app is great, but I have one problem with it. There is no descriptions next to the music. For example, there are many songs that have different versions to it, but the what this app does not do is differentiate between the different versions. It would be great if there were descriptions so that I do not download different versions of the same song until I find the right version. Don’t like this app because you have to use coins and if the coins run out they stop playing the music. Don’t Recommend you get this app. It is frustrating for the same promo to keep coming up after I already installed it and the “X” in the corner will not take it off so I can see the music screen!! Makes me feel gun shy about downloading anything else you suggest. I just want music . . .
I’m rating this 3 stars because while a lot of my favorite rock songs download perfectly fine, others are downloaded as the music video from YouTube. I just want my music. If I wanted the music videos, I’d use YouTube instead. Plus, the ones that download as music videos are pretty much impossible to delete. Every time I hit the sound symbol, which you would think would work the same as the 3 dots, it restarts the music video. Don’t Get Me Wrong, I Love Getting To Listen To Music And Sift Through My Favorites And Download Them. It’s Great, There Are Few Ads And You Earn The Coins Very Easily And I Think It’s A Great System. Though Some Contradictions Start Appearing, Like If You Download Like Journey Or ELO, There Is This Little Thing That Appears To The Right Of The Songs And It Tells You That You Can Only Listen To Them With Wi-Fi, Which Kind Of Defeats The Purpose Of Downloading It. Also, This Isn’t As Major Of A Problem, But I’m Not Sure If It’s Copyright Issues, Which Is Totally Fine, But A Lot Of People Complain That There Aren’t A lot Of Artists (Again, Totally Fine, You’re Barely Starting), But You Should Do Like A Request Page Because There Are Artists Like Pink Floyd Or Simon And Garfunkel That Weren’t Even Added. Besides That I Think You Guys Are Great And It’ll Improve As It Goes. Thank You EDIT: Two Other Things, One Is Major, And One Is small. The Small One Is That The Albums Are Not In Order And I Have To Search Up The Track Listings, Which Is An Inconvenience, But Not Huge. The Major One Which Isn’t As Major As You Would Hope, But When You Have An Album Like Ten By Pearl Jam Or Stop The Clocks By Oasis, You Don’t Complete Them, And There Are Only A Couple Songs Instead Of The Full Album. Just Some Other Quick Things. I usually don't write reviews but this app is one of those awesome apps that I just had to. I enjoy how you can download just about any song you can think of. Also I enjoy that there really arent as many ads like most music apps😋.My favorite feature is that you can play it in the background and you don't need wifi connection which is awesome for when your going to school! However with the pros comes the cons....😥 The only real con for me was the COINS! There honestly isn't a way to earn coins easily and like most people I really do believe that there could be an easier way to earn them. I feel like its robbery because if you want more coins you gotta buy them... however with a great app like this I can see why you would charge. So thats like my only reason. I hope you can come up withy a better way to get coins easily because, im honestly tired of running out of coins all the time. PS. If it isnt to much to ask could you maybe lower your coin rate thing.. like how much one song cost to play(6-7) would seem reasonable to me. I hope you read my review and work on that soon. Thank you for creating a great music app.😄👏👏Edit: That makes sense and I get it now thanks. Don’t get me wrong, I love this app a LOT. 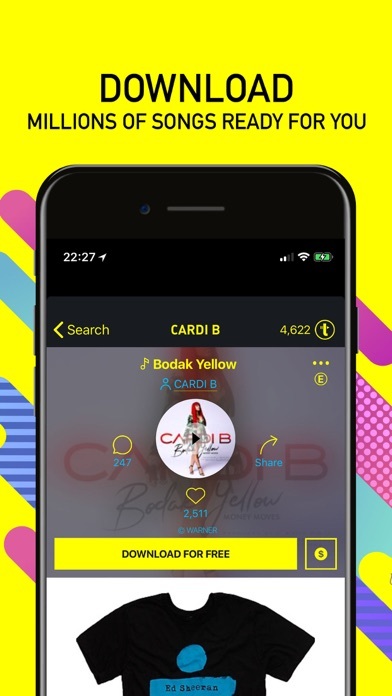 But that didn’t mean there aren’t some things I would change about it, for example, the range of songs on this app is very good, and I understand the struggles of obtaining this music, but from what I seem to see it is all about getting what is new and hyped up at the moment. I get why people would enjoy that, but I feel that certain people including me are in that app to find songs they love and want to listen to always, not just when they are popular. I’ll use the self titled twenty one pilots album to represent the situation. This album is old, yes, and might not be the most popular of things but has helped me and many other people get through very tough times in their life with the lyrics and sound of the album and frankly I constantly check to see if it has been uploaded and find it has not. This is just a suggestion in general though, not for this specific album to just listen to what everyone wants to hear instead of what is popular now. But aside from that the function of the app is wonderful and I love to use it. One of those apps that you think’s too good to be true..
...until you finally download it and start acquiring free music. I got hooked on this app over a year ago. I kept telling my teenage kids to download it; that they could download all of their favorite music and listen offline but, as usual, they don’t listen to their father. Once they finally downloaded the app, it spread amongst their friend groups very fast. When I get in my car and connect my phone or when I am anywhere and want to listen to everything from Bowie to Drake to Damien Rice, I used to open the music app that comes with IOS and listen to the songs I paid $1+ each to download (limited). Now, I open Trebel as a matter of habit. I have every song I could ever think of (actually more like 90%) and didn’t spend a dime but know that the artist are still getting their royalties. It’s the bomb or whatever kids say these days. Awesome. You’re doing yourself a huge disservice if you don’t download Trebel and give it a shot. I really love this app for lots of reasons: the music selection is amazing, you can listen offline AND in the background (I’m listening as I write!) 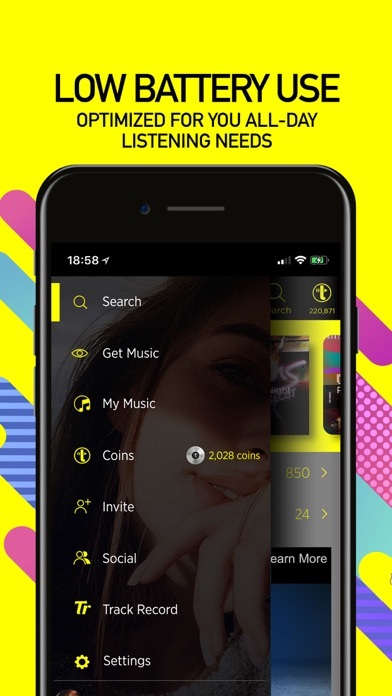 But there are some drawbacks—it’s difficult to earn coins for offline listening, and you run out quickly, which in my opinion is the price you pay for free music offline. What bothers me more is that there doesn’t seem to be a way to delete songs from your library or undownload them if you don’t want them anymore. I have whole albums of music cluttering my library that make it difficult to find what i’m looking for—and lots of duplicate songs when I downloaded a whole album. If you like to keep organized , watch what songs you download and do them one at a time when in albums so you don’t accidentally get a double download (playlists let you choose individual songs to download). It’s really, really annoying....but I suppose having too much music isn’t much of a complaint at all. I really love this because you can get almost all the music you love and if they don’t have it they will send you a notification when they get it. And you can play your music anywhere you are. And make playlists! !😀😍🤩😎Here is the small problem: you have to have coins to play you music offline!! And if you run out you have to watch ads, like music, write comments, or buy some with your money!! I do not think that it fair that it takes coins away for listening to your music offline. And if you are off the app for a long time and on something else your music stops and asks if you are still listening which gets annoying but the first problem is the worst! !I hope to get a developer response to these problems and make it better for everyone. THANK YOU GREAT APP!! 👍 ADD ON- They take more coins away when you listen to a song than you get when download a song or album. They take 8 coins away and you only get 3 when downloading!! How is that fair?! Hello Trebel staff, I have had trebel since 2016 and really loved it back then. Now it is ok, but the experience is not as good. The process for downloading music used to be pressing download, then watching video ads. You could skip ads to see new ones and each ad gave you five coins. Now, I cannot get any coins because when I download music, I do not get paid coins after the download. I have deleted the app and reinstalled it and all my music, but it still does not give me any coins, and it still costs 8-9 coins per play, even if the play is for a second. Also, when I try to get coins by pressing the top right icon, “AD PLAY” does not work at all. It just says “wait, loading”, and never loads. That means I have no easy way to earn coins except buying them. The check in feature only gives 5 coins and I cannot invite friends every time I want to listen to music on Trebel. I would greatly appreciate if you could respond to this, and I get that we need ads. That is what makes this app great. Thank you. I just started and it was great, but.. I just downloaded the app today, since my favorite music app “Pockettube” is no longer available in the Apple store. I’ve been looking for music apps with offline listening and I found TREBEL and it works great. Browsing songs are fast and easy and have almost everything that you’re looking for, but only a handful of songs require wifi. I gave this 4 stars because for some reason, I couldn’t download anymore songs! I’m connected to WiFi and every time I wanted to download a song, it would say that I wasn’t connected to the internet and to try again. I tried again like 5 times, even without WiFi (LTE) and still no go, so I’d have to be okay with only having 57 songs😂. Overall, the app is great and is a lifesaver because I cannot survive without listening to music every time I’m on the train on my way to school. I just hope you can fix the small bugs so the app can be better! But it's not great! It could be great. That is, if you could download music while multitasking, though of course, keeping the app open while doing so as well. But still being able to go look something up on the internet, or receive a call or go to settings etc. It would also be great, if, for the music and songs that are not available for download at the time you attempt to do so(which I actually get confronted with more than I'd like), they would go ahead and make the music that we request & express we want to be able to download, available in a reasonably quick amount of time. I also think it's weird, that they might have a whole album available to download, except like 1 or 2 songs from that album. I mean, why not just have the entire album available on there? Being that they decided to make that specific bands album(or 80-90% of it) available at all? Just some concerns! It’s very frustrating. You run out of coins to fast and I think the coin system is stupid. Honestly if you wanted us to watch ads, you should’ve done it a different way. Like having us watch a couple while it downloads and then let us listen to the music that we technically paid for because you get money for having ads. I just downloaded a whole album and it still is telling me I don’t have enough coins to listen to any of my new music!! It shuts down all the time. I also don’t like how you’ll tease us with the “ coming soon” for music. Just don’t put it in there at all because, trust me, it’s way more frustrating thinking you have the song for us, and finding out you don’t, rather then looking for it and not seeing not seeing it at all. I’d rather just pay for pandora premium every month, then sitting here constantly downloading songs that I don’t even want to listen to, or can’t listen to because you don’t have it. I gave it 2 stars because it was nice at first, but now it’s just annoying. Okay, so let me start out by saying that this is a really good music app that i have been using for a few years now! It’s great if you want to listen to music where there is no service or wifi, but i have been having some problems with it RECENTLY! I have notice that is harder to get coins, i also found it hard to get some songs because they are “coming soon” but they been saying that for months when i keep checking in on the song, and the most aggravating things that just happened was that i lost A LOT of songs. I never really noticed it until now. I always thought i had downloaded a song but then it just disappeared, well i now know that this is true. I had 1,150+ song that i downloaded and now i only have 600 song. i am beyond upset because music is my life, now they are gone! PLEASE FIX THIS!!!!! Overall I like this app. I can download music very easily and be able to play without wifi which is the reason I got the app in the first place. The only thing that really is annoying is their music selection. It takes forever for music to become available on here to listen. Once it is finally available to download on the app the song is now old. I wished they add songs when a new song is actually being released to the public. This app seems to be behind when it comes to their song selection. Also, if a song is still not available yet I wish there was a wishlist we can add those songs so when they do come available for download we can be notified. The app's wishlist now only works for available songs which doesn't make sense. I'm constantly having to go back to see if it is available... Still waiting while songs have already been released months ago. I really like the idea and concept of this app. Had a bit of trouble offline at first. But good over all. Loving it. I extremely do support the fight against Unwanted Piracy and the ability to have free music that is still paid for. No artist shall starve due to pirated music I hope in the future. I’d donate 50,000 TrebleCoins just to be able to say I support Treble as I have since the beginning in the Beta processing. I love it an recommend it to anyone. Only suggestion would be an option able page in the app to automatically open up to when the app is opened. Like the library page instead of the new releases page. Or the profile page if that is what someone would want to choose for the opening page of their app. Whatever floats their boat in their own unique preferential senses. Love the fact that I can play all my downloaded songs offline free. I hate having to pay for music. Only have to watch a few ads to build up coins to listen offline. They may not have every artist quite yet, since they are a fairly new app, but they have most of the popular ones. And if you're like me, who likes any and every genre, that's pretty great! And they add new artists at least once every week! They have such great service too! I had a problem with my songs disappearing, so I emailed them and they are currently fixing the bug right at this very moment. I also accidentally turned off my ads (which caused me to lose coins because I was playing my songs) one time and they were gracious enough to show me how to turn them back on. They are very polite and I love the app! Do get trebel! I used to really like this app when there were easy ways to get coins like downloading music or opening the app and what not so i could listen to my music on shuffle and not worry about running out of coins bc i know that i could easily get them back. But now the only way to get coins is to watch ads,get someone to send them to you, or buy them. And I hate that. I literally can’t just listen to my music on shuffle bc I’ll run out of coins and it takes way too many coins to listen to one song. And I also am getting annoyed of almost every new song I look up to download having a “coming soon” written. So I can’t even download it and I check in months later and it still isn’t available for download. There aren’t many new songs being made available either. I’m about to find something else to listen to music on bc this is getting annoying. I do like that I can listen to the music I already have offline but that’s about it tbh. Now, this app has some pros and cons. The things I don’t enjoy about this app is that it has me wait for the song to download. It won’t let me close out the app or go back to wait for it to download. If I do go back or close out the app it will stop downloading. Like, really?? Another thing I loathe about this app is that when I search a song, sometimes it will say “coming soon” 🙄 Even if it’s an old song that came out in like, the 2000’s or the 80’s. Honestly, that’s straight up dumb. Why does it let us download the newest songs like “Gods Plan” for example but yet, it won’t let me download Dear Maria, Count Me In?? Dear Maria Count Me In is an old song soo.. I think it should let me download that. ALSO it doesn’t let me download Lil Peep songs! It fact, when you search “Lil Peep” they have no songs of him..explain! But, something good about this app is that it lets you listen to music offline. And I think that’s great. But yeah.. THANKS FOR READING. Love This App, But 2 Problems! I love this app. I always play my music on it and I download my favorite songs, well not all the time. This is where I have the problems, I try to find a certain song I like. It pops up and when I click on it, it says “Coming Soon”. When is “Soon”? If there is multiple results for the song, they all say the same thing! Another problem I have is the points that you earn from downloading music. I can’t stress enough how irritating it is to try and download random songs to earn points! The other problem with this is that when you finish a song, about 10 points get deducted from you. What is the point of creating and offline music app if you need a currency system to listen to music? Developers of this app, please get rid of the “Coming Soon” and currency nonsense. I am really close to uninstalling this app! I really like this app a lot. I have a plane ride coming up in about a month and I wanted to listen to music. When I downloaded a certain song, it was only available with wifi. I found that kinda upsetting because there were also a few that said ‘coming soon’. I didn’t really understand why they were showing up. I like that the songs are up to date, though. I think there is a whole lot of improvement to be done. Other than this, great work! (I also notice that some older songs are only available with wifi. Such as Pumped Up Kicks and Fire by Gavin Degraw. It would be nice if those we available for real download.) Also, what is with this “recovering your music?” I thought it was already there. I hope this isn’t too much to ask for. I’m looking forward to seeing new things. Thank you! The app, overall is great, at first, I was a bit sketchy about the coins and such, but realized that it wasn’t going to be too much of a problem. After all, having a tiny countdown does help to expand your music interest by more or less forcing you to look into other songs to see what you like and download them for more coins. But when I had an entire album that I created that had all the songs of just one artist that I had downloaded, one day they just disappeared, and along with that the coins. When I looked them up, it said that they were coming soon, but didn’t they already come out if I could have downloaded them before? Not sure if this has happened to anyone besides me, but if possible, could someone explain this to me or at least fix it? Thanks. TREBEL used to be my favorite app. I absolutely loved it and thought it was the best music app. But suddenly TREBEL started to ask me for coins to listen to my music and won’t allow me to listen to anything unless I have enough coins. And I think each song is 8 coins? In order to earn coins you either pay money or play games. I want to listen to music not play games to get coins and then have to repeat that all over again. I think the coin system is not a good idea and should just go back to the way it was. Not only will more people begin using this app but it’ll get good reviews too. Also I know many others feel the same way about this app as well. My friends used to have this app and when I asked why they deleted it they told me that TREBEL was asking for coins in order to listen to their music and so they deleted it. I have not deleted TREBEL yet as I am hoping there will be a change in the system as this used to be my favorite app. I've been using Trebel for a year or two now, and I've loved it ever since I got it. As far as the music and coin system, I'm completely fine with it. However, there is one problem that must be addressed. In recent updates, Trebel received an aesthetic change. I see that you guys are trying to go modern with your color scheme, but certain parts of the app, the top toolbar with the coin count, for example, are unreadable. Therefore, I don't know how many coins I have. Please, change the font color for these areas or change the bar's color. So long as I can read the text and numbers, I'm fine with whatever color scheme you want. Other than that, keep up the good work. I look forward to the future of Trebel. Wow This Is Beyond Amazing! At first I saw an ad for this app and I was like this is a scam there is no way! Somehow my brain was like just download it so I did and boy was I surprised! There is not a lot of artists but I understand that it takes some time to go through all the legal stuff to get these songs while keeping your app up. THIS APP IS JUST AMAZING!! !It is perfect for somebody like me who is always on the go and most of the time places don’t have WiFi and I’m not in the right situation to waste data on music. This app serves as a great way to listen to all my music without having to worry about either! I LOVE THIS APP SO MUCH AND I WILL DEFINITELY BE RECOMMENDING IT TO EVERYBODY ❤️Best of luck for this app!I can see this becoming a huge thing in the near future! I love this app! It’s very clever and amazing! The only problem I’m having is deleting songs. I’ve downloaded a couple songs I don’t like and went to delete them. I couldn’t figure out how to do it at first but soon found out that it was those three little dots or the WiFi looking symbol. I’ve managed to delete some songs but it took me awhile. Every time I try to tap the icon to delete the song it would start playing. Eventually I somehow tapped the minuscule hit box of the icon to delete it. What I’m trying to say is to pls increase the size of the box to delete the song. Other than this I’ve had no other problems regarding the app. Thank you!! Having scavenged through the App Store looking for a completely free, and legal, music app I can say I've tried a lot of apps. Trebel has been the most successful app I've come upon and works quite well. It's coin system keeps me from having to waste money and in turn helps the company add more of my favorite artists. However, as like every app, it can experience a few bugs. Sometimes I'll be playing a song and leave the app and be cut off. Other times I'll have downloaded an album then go offline to find the song won't play. But, after a rather long ten minutes the song will finally process and play. This is only an occasional problem however and usually the app works just fine. I love that I can find a lot of artists that I love but also there’s a lot of stuff missing from quite a few. Some of what is missing does say coming soon so that’s nice but with bands like Tool there’s really not anything and none of it was original work anyway. I. HATE. The coins idea. I understand that ads have to play in order to make a profit but the coins are so frustrating especially when I don’t want to pay because I’m poor as hell but I can’t watch ads because they won’t load. I also don’t like that only having the ads option will give me a measly 10 coins. 20 would be a much more worth while option because of how long 10 per ad would take to get any kind of decent listening time. I downloaded this app and the first thing i did was search up my favorite songs that came from a game called kingdom hearts and all of them-literally all- were there but were 'coming out soon' which meant i couldn't play them or download them and who knows when they will come out. This app is extremely helpful cause it does have the other songs i like for free download, but i'm just confused and disappointed that all of the kingdom hearts songs are coming soon. Other than that, this app is amazing and you should totally get it if you need to download free songs. Trust me it works! Update: The thing is that the first game came out in 2002 along with my favorite song from the entire franchise, yet that one and some others from the earlier games are still not there. I get why the newer songs are coming soon because the game literally just came out, but i am just confused about the reallllyyy old ones. I really don't want to sound like i hate this app. It's amazing, and you can really download free music without any ads or emails or accounts or anything, which is extremely rare to find. I love this music downloader, hands down, but I find that one itsy, bitsy, problem can fixed. Is it possible that you guys (the makers of Trebel) could take away the point system. Like, I have over 100 songs, and I'm down to 6,000 points. If I keep listening to my songs, I won't have any points to listen to my songs. I understand that if you download songs, you get points. Well recently, I've tried to get more points by downloading albums, but I haven't gotten any points. So, would you ever so kindly, take away the points so I can listen to my music whenever I want. And of course, I'll be downloading more music, because music is one of the most important things in modern society. COMING SOON IS A JOKE! trying to get ahold of developers . It says on app put in email, but it wont . I would plz appreciate feedback plz. And I can’t download any toddler music ....any toddler music at all! I can’t download 89% of music because its coming soon or its totally redone by another person , even though it says original artist. Its not. Its been almost a year since i uninstalled because i had problems. I reinstalled today and music that “was coming soon” then... is still coming soon. They have no intention of putting it on their app. Its a ploy to keep you coming back. Plus since i installed the app today my phone is getting blazing hot. This is the only app that has done that. Sorry but uninstalling. This app; it’s wonderful, it’s legal, it’s safe, yet there’s things that need change and honestly don’t make any sense. • Listening to a song costs ten coins on average. It’s frustrating, because in order for me to play all my 68 songs, I’d need 680 coins, which is completely absurd. A song should cost one coin. This limits the amount of songs I can play and how much time I have to waste getting those coins. So far, this is the thing that’s aggravating me the most. • The user interface needs a new look. It’d be nice if you could model off other radio apps with smoother interfaces. 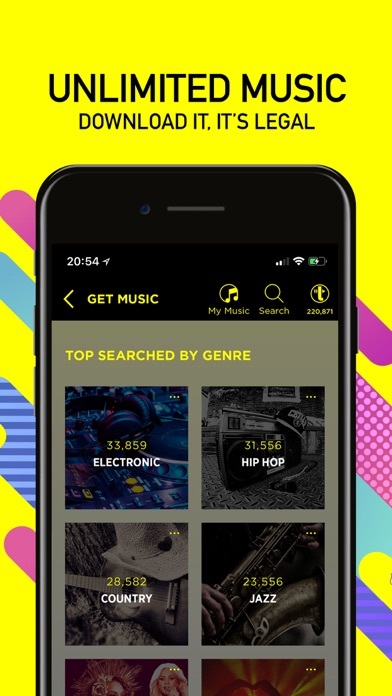 • Other than offering prices to buy coins to support your app, consider offering a deal where you can pay to get rid of ads and download/play unlimited songs without the use of coins. It’s frustrating for a generation that hates capitalism find it in music, too. I never thought I would love a music app so good but this is by far the best app I have ever had...Takes seconds to download and ready to download another song...I also love the little filters they have... You also get to spend coins on fun stuff!! !Also every time you download a song you get extra coins just for whatever you want!!! Best thing is you don’t even have to have coins to listen to music!! !Also you can listen to where ever whenever without WiFi or internet its hard to find a music app that lets you do that!!! There is a lot of ads but just watching them gives you coins!!! Enjoy!!! This app is okay, but it’s not great. There is a huge variety of songs although there are some that aren’t available. When I first downloaded it I had trouble with playing offline. I deleted it and searched for other apps but couldn’t find one. I decided to deal with it and downloaded Trebel again. This time it seems that I can listen offline. But I still am aggravated with the coin thing. I think it’s stupid. I do not understand the point of the coins. It makes absolutely no sense at all. It’d be awesome if someone could explain it to me. I can understand maybe needing the coins to download a song, but that’s not what happens. I just wish Trebel could let us have the music without all this extra nonsense. They would have a better reputation if they did. so i’ve used this app for a couple of months now after having discovered it randomly, but in those few months i downloaded hundreds of songs which usually worked great. granted, there were times that something would malfunction or the music would stop, but that was a rare occasion. the app is awesome in most cases, especially when there’s no wifi, and though it is frustrating to see some favorite songs “coming soon”, i still can’t really complain. i mean it’s free and it fulfills exactly what it claims to, so there’s not much room to be upset with it. recently though, i’ve noticed that my song numbers are dropping. at first i assumed that it was just acting up or that a song or two were temporarily being modified or something. but when i went on today, i found a dramatic decrease of my song number, and most of my recently played songs are missing. a lot of them are asking me to re-download them too, which is weird. all in all the app is pretty awesome but please fix whatever bug this might be!! So I love this app so much for travel really handy. But the ads some of them don’t have a close the add button. So I have to close the whole app look up my song again and oh look the same add I mostly have to do this over and over again to get songs. Also I hate how song of them say coming soon even though the song has been out for years. Also add some sleeping music it would really help me for going on vacation where I don’t have wifi but can’t sleep that easy. Also for the stuff that requires WiFi make a non music video version of the songs so people can still listen to it. Other wise really good app. Great App, and a great potential! Great app! Lives up to everything it says it is. You can download and stream most mainstream music and play them offline. Some things that would make the app better are to increase the speed the music downloads. I’m not sure how or if you can do this but it would be nice to not have to wait 2 minutes for a song to download. Another thing to work on is the search bar. You can only search for the songs using the artist name and then scrolling through all of their music until you find the song your looking for. Overall good start to a successful app, I’ll be using it for a life time. Best Music App I’ve Ever Download! The TREBEL app is by far one of the best offline music apps I’ve ever used. Albeit great in terms of offline listening, my one issue with the app is the albums or songs that I want to get but I’m unable to because they say, “Coming Soon” even though the particular songs or album were already released years back, say All I Was by Tremonti back in 2012. I hope that you can take the time to address these here concerns into consideration and make the songs and albums available for free download. Overall, I have no problems whatsoever with TREBEL and I do highly recommend it. Usually I don’t write reviews, but this app is compelling and pretty good. However, there should be multitasking when downloading music and it keeps closing itself at random times, a bug maybe? Anyways, if that gets fixed it’s a reasonably functioning music app. My only concern besides it randomly shutting my whole phone off is that the search bar is coming up with a lot of random or repeating results, which is very frustrating to sort through for the song or albums I actually want. If these get fixed and you could put tentative “coming soon” dates, I would absolutely love it!